Crutches can be a necessity for people with leg injuries. Broken leg, surgery, are all reasons why someone might want to use crutches. 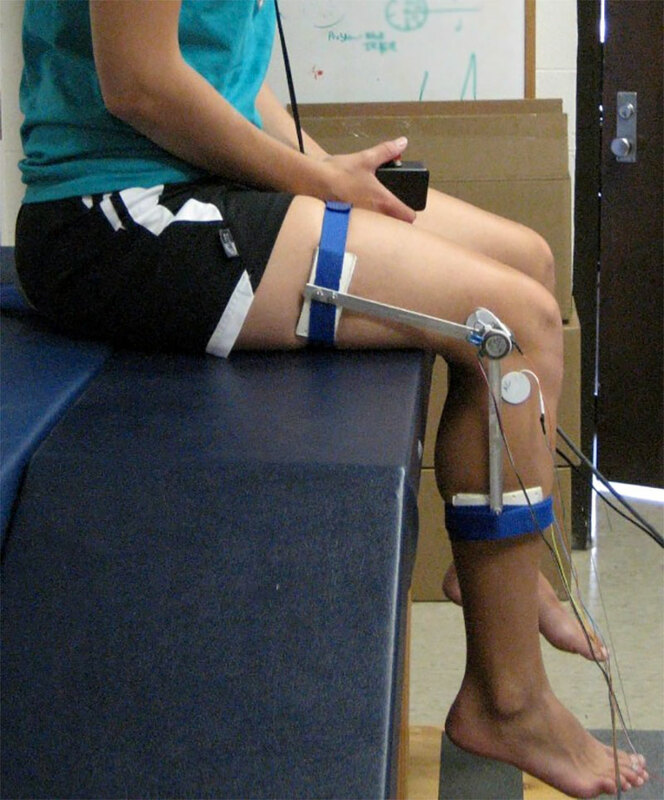 In recent years there has been an amazing new development in crutch technologies. Crutches that are made especially for non-weight bearing patients. We have found several products that will help keep your leg away from the ground as much as possible. What Exactly Is Considered A Crutch For Non-Weight Bearing? HOW TO WALK WITH CRUTCHES NON-WEIGHT BEARING? If you need the best crutch for a non-weight bearing to go along with the hands-free function in order to provide you with a comfortable experience. Then this is a good product to go with. It fits anyone who is from 4’10 to 6’6 in height and about 275 pounds or less in weight. It allows you to be able to use your hands to do pretty much everything when you’re at home. 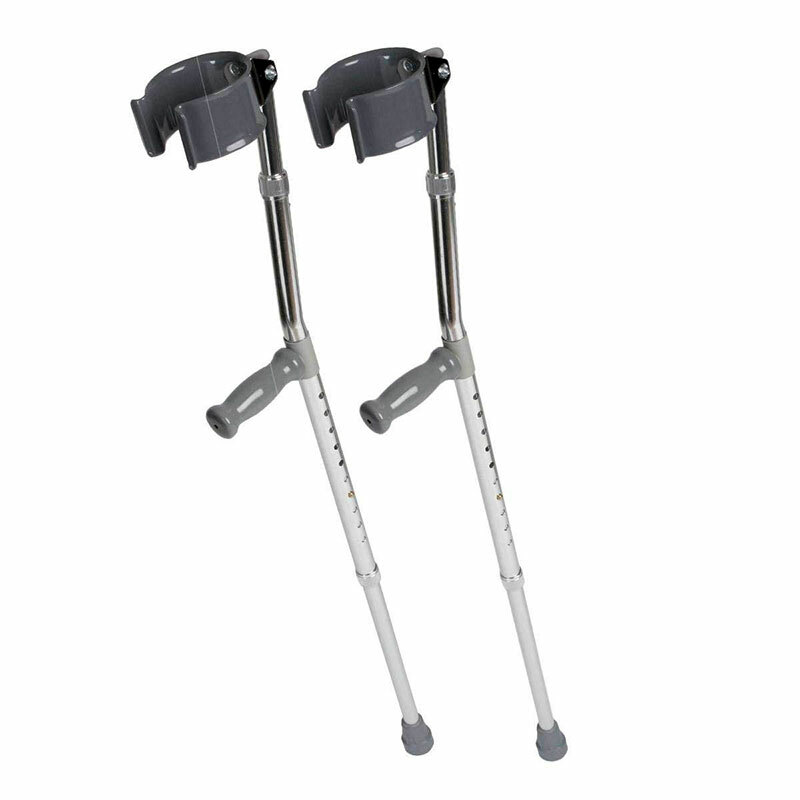 The bonus of this particular style is that it is very solid and sturdy so you can use this crutch for long-term use. Make sure its size fits you properly before you use it for the first time. With this thing you need to spend more time on all the instructions if you’re just new to it, so make sure you spend at least one full day to get fully up to speed on it. It can be a wonderful thing in your life when your leg is injured. let’s see some required qualifications on Amazon. It is more than worth the investment so you must give it a go. Medline Aluminum crutches are sturdy, reliable, and large. This crutch model made specifically for adults. It is made to be simple as well as old-fashioned. This is not to say they are bad, far from it. Medline Aluminum Forearm Crutches are made for a specific purpose. They should support even larger people. What makes them non-weight bearing is their strength. Most people will be able to rest their entire bodies on the crutches without fear they might bend or break. They have one of the better rubber tips that we had a chance to test. It is wide and will not move easily once placed. This provides excellent balance for non-weight bearing people. Cheap, affordable and easy to find. Can be uncomfortable for longer use. The cuffs are far too big even for larger people. If you are looking for cheap and simple crutches, Medline Aluminum Forearm Crutches are for you. Do not expect much comfort when you start using them. 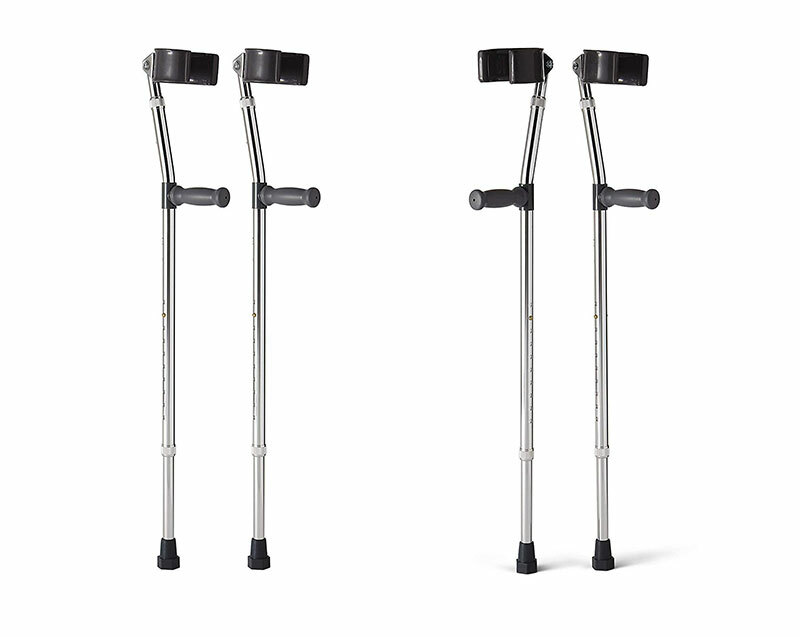 If you are looking for even greater simplicity than Medline Aluminum Crutches, this one might be what you are looking for. Thanks to their simplicity they should be able to support your entire weight. This should work even if you rest entirely on just one crutch. They are cheaper and with even less comfort. 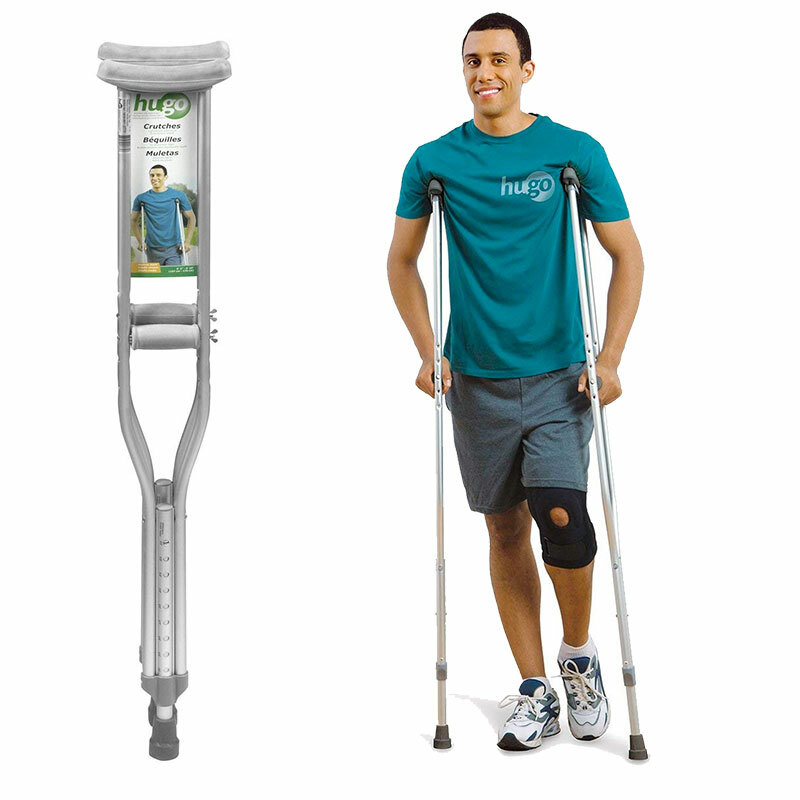 Hugo Lightweight Adjustable Aluminum Crutches do have some benefits. If you are non-weight bearing, you might love that the length can be easily adjusted by just pressing one button. This will leave your leg comfortably above ground. Ease of length adjustments should help you move more easily. Simplicity and strength can be nice for those who like to rest their entire weight on their crutches. They are uncomfortable. Several people have reported having blisters after using them for long periods of time. Padded armpit rest can become sticky. Some people have experienced their clothes sticking to the padding. It should not be a serious issue, but it should be considered before buying. For the price you will pay for them, they offer even more than you might expect. Not the best crutches out there they are still serviceable. Another Medline product, MDS805160 is made for taller people. People taller than 6’2″ can use them without much concern. They are easily adjustable even for shorter people. Hand grips are covered with foam. They are comfortable enough but can be sticky after long use. Forearm part is made out of elastic rubber. Some users have reported that they can be somewhat uncomfortable. The part that makes them non-weight bearing is the adjustable length. For those who need one crutch to be longer, it will be easy to extend any one of them. When they are fixed in place, they will not move. The rubber tip is well made for keeping the crutch in place. Excellent for tall people everywhere. Can be used even by shorter people. Uncomfortable as mentioned, there might be some issues with the level of comfort and the ability to use it for long periods of time. It is not as easy to extend or to shorten the crutches. The price is similar to Medline Aluminum Forearm Crutches who have shown themselves as a better deal. While worst on our list, they are still good crutches. For the right people, they might be a perfect fit. 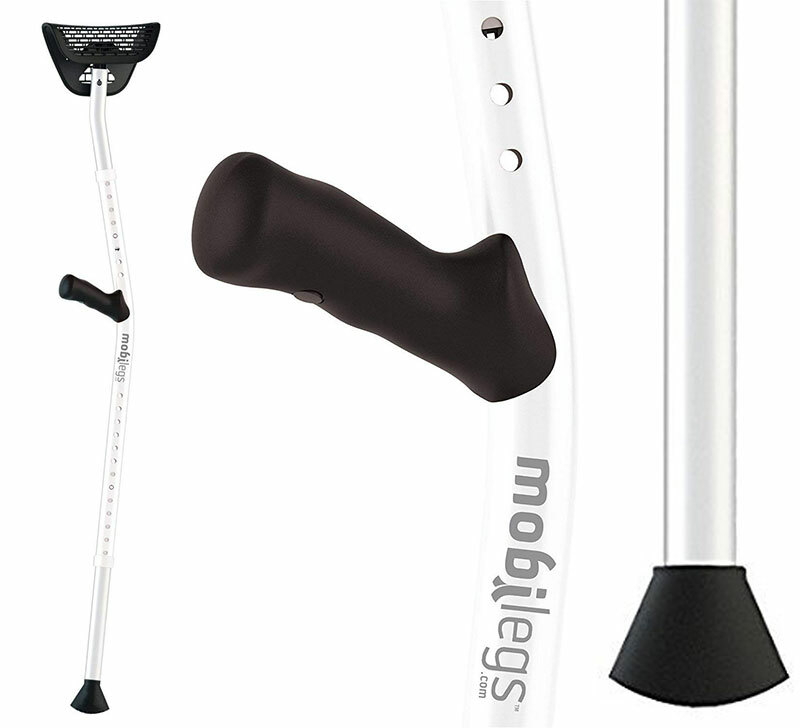 Mobilegs Ultra Crutches is great for those who like to be comfortable. Thanks to its design you will be able to use your hands as much as possible. At least when you are standing. One of the more interesting aspects of Mobilegs Ultra Crutches is the bent armpit rests. Thanks to the way the crutches bend they make resting on them easier. The Mobilegs Ultra Crutches have a cushy armpit rests. This allows you to rest without straining yourself. These crutches also have a very innovative spring mechanism. The spring mechanism is adaptable for different speeds and ground you walk on. 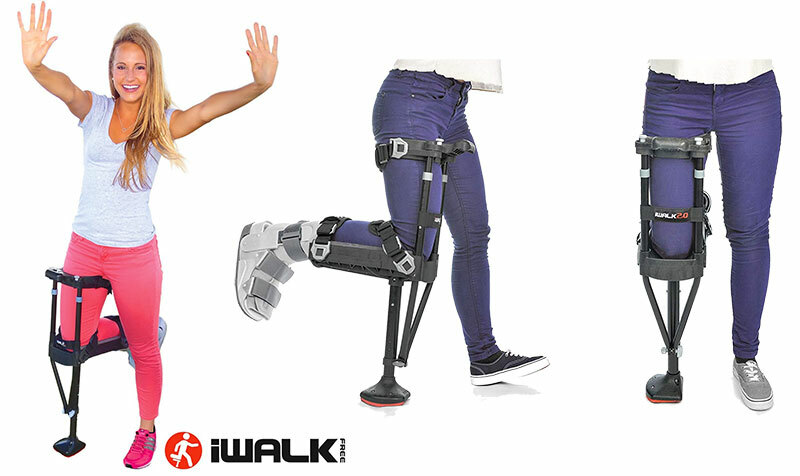 Adaptive shock absorbent technology is one of the most innovative new technology when it comes to crutches. Cushy shoulder rests that helps you use them on any terrain. You can even walk down and up the stairs with them. Lesser price than what you might expect. They might be the priciest model on the list, but the price is worth it. They are one of the most comfortable crutches out there. The amazing spring mechanism can malfunction if over stressed. The frame can be a bit lighter for some people. 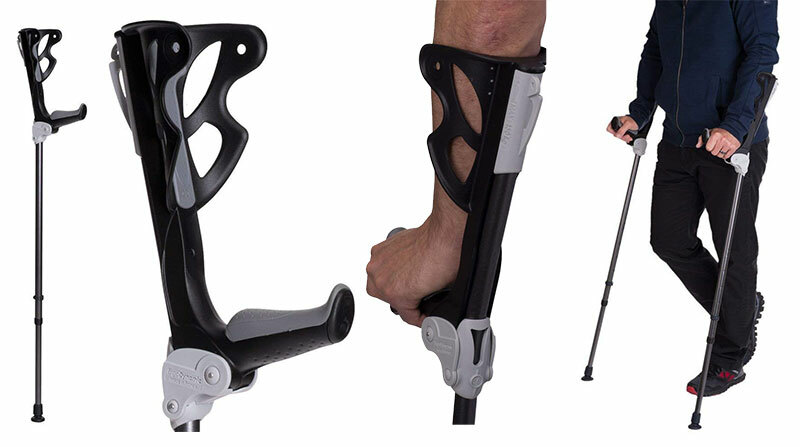 Mobilegs Ultra variant crutches are pretty decent and should be considered for people who like to be on the move. It can be a good fit for those who have to stand for a long time. Those who need it know how necessary crutches can be. Hopefully, the short list we made might help you find the ones that fit you the best. As always it will depend on the needs of the individual. The list covers a variety of crutches. Some are cheaper; some are more comfortable. Feel free to do more research. There are many more manufacturers we did not go over on this list. Read more: The most comfortable crutches. You might be wondering about what “Non-Weight Bearing” really means. That means you cannot place the foot of your injured leg on the ground. No weight is placed on your injured foot/leg because your bone needs proper time to heal. This is the most restrictive weight bearing limitation. This time, you will need a medical device to help you be mobile. And that’s all that the best crutches can do for you. A crutch for a non-weight bearing is a crutch that can act as your injured leg; it can also offer stability and freedom. Read more: What Does Non-Weight Bearing NWB Mean? Walking with crutches is a bit difficult thing, especially if this is the first time you are using crutches non-weight bearing. Be sure you follow all instructions before getting started with them and spend at least one full day to learn how to walk on crutches. How To sit: Stand and get the balance on your good leg and the other leg is off the floor. Then take the crutches off your arms and hold them in one hand. Using the other hand to touch the arm of the chair and slowly sitting down. How To stand: Hold both of the crutches in one hand by the handgrips, then push up on the arm of the chair with the other hand to stand on your good leg and slowly stand up slip your arms through the arm clasps. Never sit down or stand up with the crutches on your arms. How to walking: Keep your elbows into your sides and place crutches forwards shoulder width apart, then lean on the crutches, so they are used to take the weight off the injured leg and step through with the good leg. I have a question. What are the best types of crutches? In the USA it used to be all you could find were underarm crutches unless the person had a condition where they would use them the rest of their lives. Slowly this has been changing and more and more people realize that forearm crutches, the type used almost exclusively in Canada and Europe, are easier, more comfortable, and more maneuverable. For instance, in 1979 my family was on a trip to France when I injured my ankle. I was given a “funny” (forearm) set of crutches. We then went on a trip in the mountains where I was able to travel dirt paths and stairs much more easily than I ever had on crutches before. Years later when I finally found a pair in the USA I got my own and I’ve never looked back.